Performers include: Freddie Wong, Jimmy Wong, Ashly Burch, Clint Jones, Chase Williamson, Ellary Porterfield, Josh Blaylock, Anthony Alabi, and Noah Segan. This action-comedy series documents the production of RocketJump Studios original web video content, TV shows, and feature films. It chronicles the creativity and chaos involved in film, TV, and video production. In essence, it is a TV show about making TV shows and the like. The cameras follow Freddie Wong and the RocketJump team as they pitch and develop ideas, then produce and release short films. Each episode also includes a look at the short featured in it. The shorts produced during the production of this series will also premiere on Hulu. RocketJump Studios was founded by a group of friends who made weekly videos which took viewers behind the scenes, to learn about their process. They make TV shows which reflect how it came to be, in the first place. What do you think? 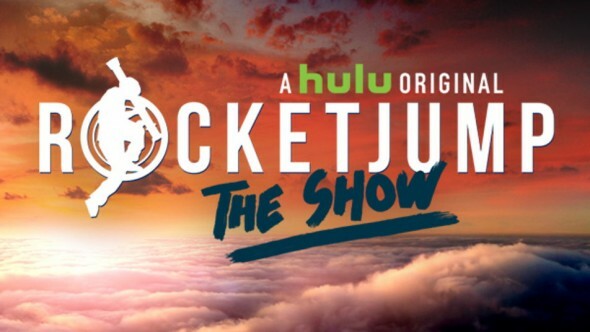 Do you like the RocketJump: The Show TV show? Do you think it should be cancelled or renewed for another season?